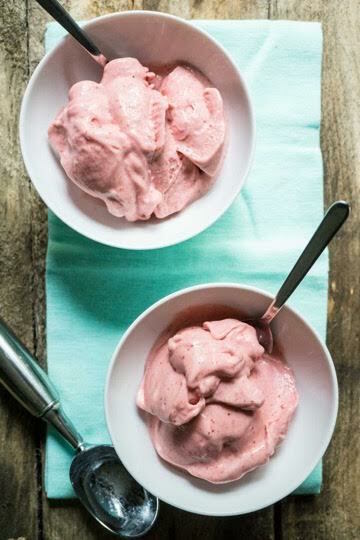 Why It’s Okay to Eat Non-Organic Strawberries & 40+ Strawberry Recipes to Enjoy! Whether you choose to buy organic or not, strawberries are safe to eat. 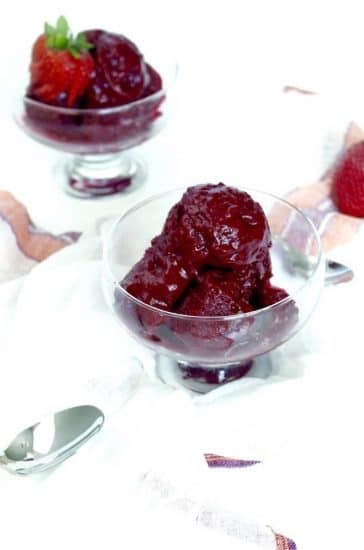 Find out why it’s okay to eat non-organic strawberries and get inspired to enjoy this delicious berry with over 40 nutritious and delicious strawberry recipes! Back to our sweet, beautiful, antioxidant-rich strawberries. I spoke with Teresa Thorne from the Alliance for Food and Farming, who reaffirmed that “both organic and conventionally grown strawberries are very safe and can be eaten with confidence. Here’s why: an analysis by a University of California toxicologist found that a child could literally eat 1,508 servings of conventionally-grown strawberries in a day and still not have any effects from pesticide residues. That is how low residues are, if present at all.” I don’t know about you, but I don’t know any adult, let alone child, who could eat that many strawberries in a day (and my kids eat A LOT!). All that is to say, let’s focus on getting the nutrients from our fruits and veggies and stop letting fear get in the way. 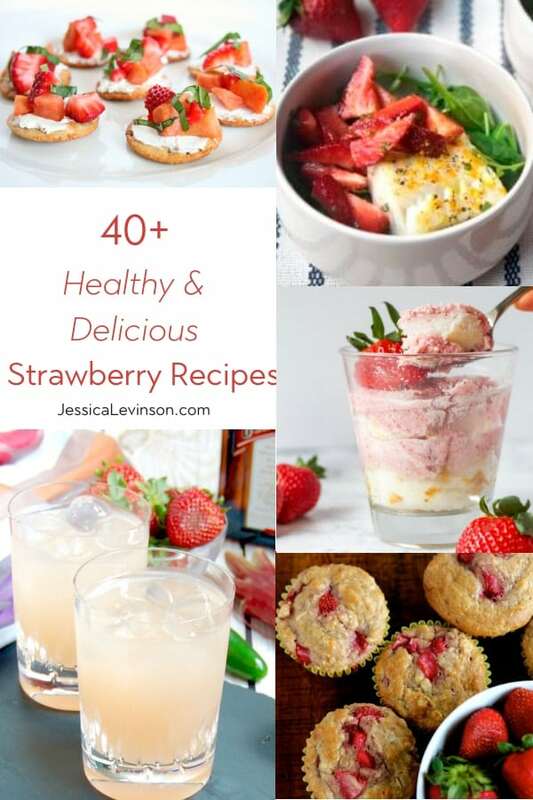 And let’s get to this amazing compilation of strawberry recipes from my fellow registered dietitians and healthy food bloggers. (You may even want to include some of these in your healthy and delicious barbecue this July 4th weekend!) 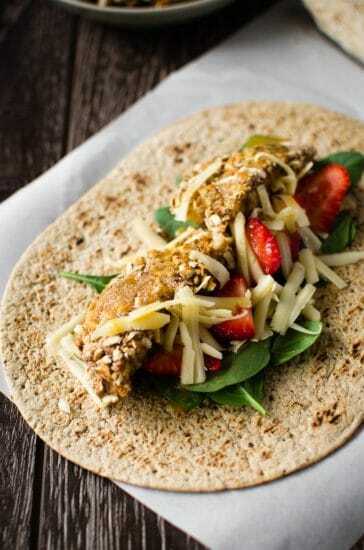 Whether you choose to make them with organic or non-organic strawberries, the choice is yours. But you can feel confident that you and your family will be safe either way! Irresistible Quinoa Breakfast Cereal @ Nourish. Breathe. Thrive. Roasted Cod with Strawberries @ Nourish. Breathe. Thrive. 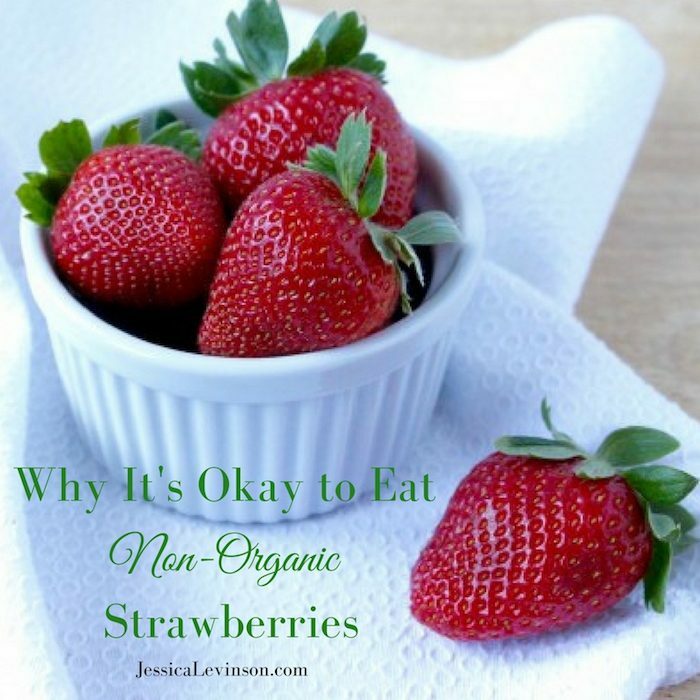 Do you feel it’s okay to eat non-organic strawberries or other produce? This post was previously written as part of a sponsored partnership with the U.S. Farmers and Ranchers Alliance. All opinions expressed are my own. This is such great info! I love the infographics and no know that anyone can eat non-organic produce without freaking out! Thanks, Jessica! Thanks Kaleigh! I’m glad you found the information informative and useful. Cheers to enjoying all the produce! Such a great post, I am saving now to send to clients when I get these questions! I knew I loved you, but know I now we could totally be neighbors! I have the same feelings as you do, I only purchase organic if it happens to be cheaper than the conventional variety! Nice piece, and thanks for including my parfait! Thanks so much Liz! So glad to know I’m in good company with my thoughts on this topic. Appreciate you sharing it with clients and also on your FB page! Thank you so much for sharing this. I think it is so important for those who can not afford organic to know that it is not the end of the world! Of course, recipe ideas are always awesome too:) Thanks! Absolutely Rebecca! I’m so glad you agree and found it helpful! Great information to give the big picture here in this hot debate! Thanks for putting it all together! And can’t wait to try a few of the recipes for my all time favorite fruit…strawberries! Thanks Jen! Hope you enjoy the recipes!! Gotta have research to support claims, right?! Love local freshly picked strawberries too! Thanks for sharing! This is such a great post, Jessica! I hear all the time about how much better organic is, and my reply is spot on with what you wrote. If it’s about the same as non-organic, sure I’ll buy it, but that doesn’t happen every day. Thanks for sharing your thoughts! Thanks so much Marie. Glad to know I’m in such good company with my thoughts on this! That’s awesome Becki! Thanks for sharing your thoughts! Enjoy the recipes! Thanks for this great information. I rarely buy organic so it’s good to know I’m not poisoning my family :-). 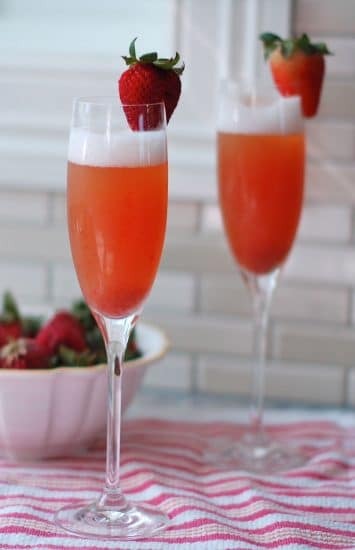 This is a great collection of strawberry recipes! Oh I am so glad that this information is helpful Debbie! Enjoy those strawberries and all the recipes! I am beyond grateful to hear that it doesn’t matter if you don’t buy organic strawberries. I’m pretty sure half of my diet is made up of strawberries, and I never buy organic. Yay! So glad I can help quell any fears you had about not buying organic strawberries! Keep on enjoying those delish berries! Thanks so much Abbey! And so glad to know you’re on board with conventional produce! Those sound like nutritioulicious ways to be enjoying those berries!! 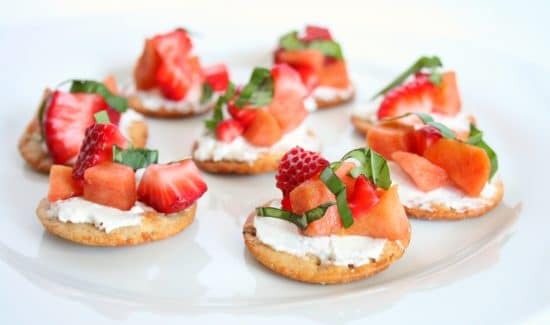 I love strawberries and these recipes look delicious! I know there is so much talk about organic fruit and vegetables, and it’s important to know the real facts. Really great info! Thanks Janelle. I think people get really afraid of what to eat with all the changing information that constantly gets thrown at them. Important to look at the science. Great post, Jessica- I learned a lot! And I love that you have the research to back everything up. I cringe when I buy organic strawberries and they’re literally twice the price of conventional! 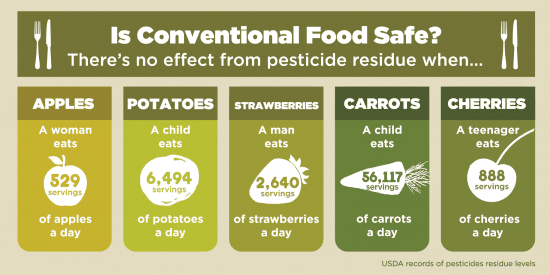 We eat a lot of strawberries in my house- it’s good to know that conventional is an excellent and safe option as well. Thanks so much for including my lassi recipe! Thanks Sonali. I am so happy I could provide this information for you and help you feel comfortable buying all types of fruit whether you choose organic or conventional! Strawberries have been so good lately. My kids and I are snarfing them up! I know! We are too! this is such a resourceful information which needs to be overshared!!!!! I buy organic strawberries because they taste so much better than conventional! So often, conventional strawberry packs have green, underripe fruit. But I’m pinning this post because omg! the collection of recipes. I haven’t had that experience, but if organic is something you can afford and want to purchase that’s great too. My point is people shouldn’t be afraid to eat conventional. Thanks for pinning! 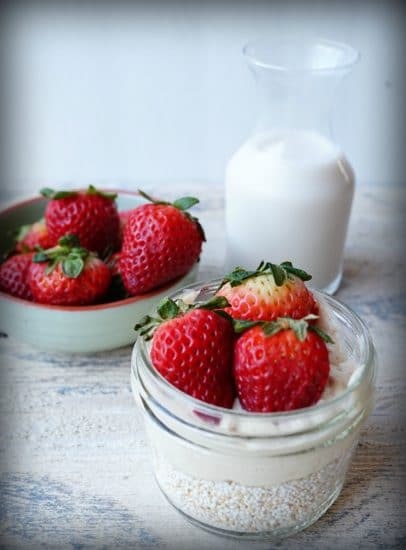 I know a lot of strawberry lovers that will enjoy seeing your recipe collection! Thank you for clearing up the issue! If anyone is eating that many servings of strawberries a day…. I guess they have bigger issues, haha. And I can’t wait to try the recipes! Thanks for stopping by to share your thoughts. I’m sorry to hear that your classmates and other RDs scoff at you for having this viewpoint. I think people are so easily swayed by media and fear mongers. Stand your ground and stay true to what you believe Christina! Thanks Angela. So glad I can help quell your fears about buying those strawberries. I bet they’re delicious! Very interesting read Jessica. My husband has been saying this for years. Thanks Jill. Your husband is one smart guy then! I almost never buy organic, so this is good news! Good news indeed!! Enjoy those berries! Great post! I agree with you 100% on this. I hate to see anyone skipping out on delicious fruits and vegetables just because they can’t afford organic. And thanks for including my chocolate strawberry German pancakes recipe in your round-up! Thanks so much Brittany! Glad to know you agree. Can’t wait to try those German pancakes. They’re mouthwatering! Perfect timing- I happen to be picking strawberries today at a non-organic strawberry farm! Thanks for all the recipes! Oh how fun! Hope you had a great time Jodi and enjoy those delicious berries! Although some scientists agree that non-organic fruits and veggies are safe and pose very little risk other scientists caution that if you are pregnant, nursing, or even children because of their yet fully developed immune system as well as someone who has cancer should avoid exposure to pesticides and herbicides found in non-organic fruits and vegetables. Love this roundup! The best part of this time of year is eating the best strawberries! They are sooooo good right! I will be making more than a few of these recipes! Thanks for rounding em’ all up! Thanks Andie! I totally agree 🙂 Can’t wait to hear which recipes you try and love! This is really great information! Thanks for sharing! And that roundup looks super delicious! 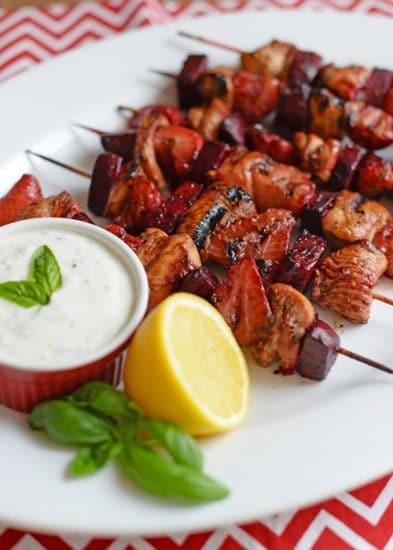 Glad it’s helpful and hope you enjoy some of these recipes this summer! I find this fascinating and reassuring. I have to admit not buying fruit I want because the organic version are so darn expensive! That includes apples and strawberries. I’ll let my guard down and enjoy! I’m glad it’s helpful Alisa. Your experience is exactly why it bothers me so much. Hope you’re able to enjoy all fruits and veggies whether organic or not! Love this post! And I am about to pin so many of these recipes! Super interesting post!! I was so worried about organic for awhile and then to be honest, I realized in a lot of cases it was better to be getting the veggies!! There are only a couple I’m sticklers on, like apples because the regular one’s taste waxy. Thanks Amanda – so glad that you came to that conclusion on your own and are enjoying most fruits and veggies despite organic or conventional growing. By the way, I think the waxiness of apples isn’t dependent on organic or conventional – i have found that apples from the farmers markets, not all of which are organic, are less waxy than super size ones at supermarkets! Interesting! All pesticide risks aside, I buy organic berries because they’re more flavorful, 9 times out of 10. Good to know, though! Thanks for sharing your reasoning Jordan. I think the flavor really varies depending on ripeness, but I have heard others say that as well! looks like strawberries took the top spot again! but Im with you, exactly same buying patterns. Unless they look more amazing are less expensive (or are at the farmers market), I don’t buy organic. Thanks for sharing! Yes, they did, which is why this is an important message to get out again now while the media is having a field day putting down conventional produce! So glad to hear you buy what looks good and is a good price for you. At the end of the day let’s just eat our fruits and veggies. More matters! Yup, Abbey. I hope we can get the message out that all produce should be consumed, regardless of how it is grown. Definitely no reason to feel guilty Deborah. $9 per pint is insane. Feel safe in your choice of conventional. All of these recipes look SO vibrant and refreshing, I can’t even choose my favourite! Gotta love strawberries! I’ll have to try some of these out for sure! 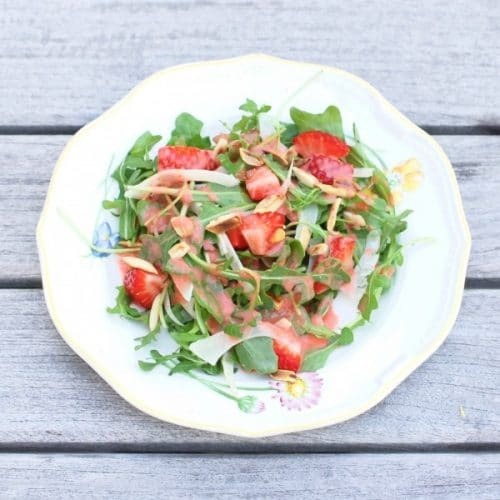 Now is the perfect time to enjoy these recipes – strawberries are at their prime! I still opt for organic produce when it comes to the Dirty Dozen and Clean 15. There are just some things that give me the heebie jeebies. I’m all for everyone choosing what’s right for themselves and what fits your budget, so if you can afford organic then why not. But the message that conventional is just as safe is an important one that I hope you will share if asked. I’m so glad it’s spring! I love strawberries–can’t wait to try some of these recipes out (but it’s gonna be so hard to figure out what to start with! *-*)! Amazing roundup alert! Great works here! Thanks Rebecca. Hope you enjoy some sweet and juicy strawberries soon! This looks delicious and I of course appreciate that you discussed people’s fears surrounding organic versus non-organic :). Thanks Jodi. Feel free to share with others who are confused and afraid of eating regular veggies and fruit. Thanks Whitney. I’m so glad you found it helpful and I hope you enjoy some of these recipes now that strawberries are in season! This is such a timely post, Jessica! Love all the recipes and totally agree with everything you shared! Thanks so much Shannon. Feel free to share! What a great post! I love the infographics, definitely a question that comes up so often. Thanks Abbie. Hope it will be a helpful resource for those who ask you the question. Thanks Charlene! Yes – that is the point – no matter what kind of fruits and veggies you choose, just make sure to eat them!